With the rich, bluesy vocals of Darius Rucker and gleeful harmonies of guitarist Mark Bryan, bassist Dean Felber and drummer Jim "Soni" Sonefeld, Hootie & the Blowfish have grown from a South Carolina-based band of college friends to global superstars, selling over 25 million albums worldwide to date while earning numerous honors including two GRAMMY Awards and the RIAA's Diamond Award. They return to the road on the Group Therapy Tour this summer to perform beloved hits such as "Hold My Hand," "Let Her Cry" and "Only Wanna Be With You" alongside brand new music for the first time in more than a decade, with Billboard proclaiming "Hootie & the Blowfish are back and better than ever" and "yes, we're ready for it" while USA Today noted "1990s nostalgia will invade North America next summer." Kicking off May 30 in Virginia Beach, the band will visit 44 cities on their way to a grand-finale homecoming in Columbia, South Carolina on September 13. 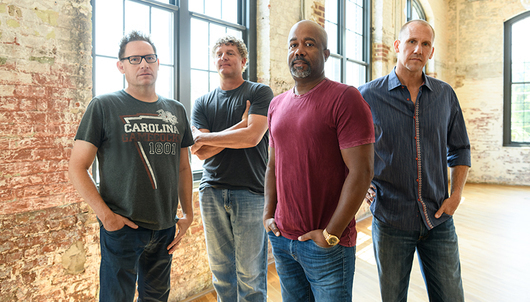 For more information and for a full list of upcoming tour dates, visit https://www.hootie.com. The winning bidders two (2) concert tickets and two (2) meet and greet passes will be available to pick up at Will Call the day of the concert. The winning bidder will be informed of the exact seat locations and meet and greet instructions the day of the show. Seats will be located in Section 102 but are subject to change. The exact location of the seats is at the discretion of Hootie & The Blowfish, but the ticket location will be located in Section 102. Access for two (2) to take a photo with Hootie & The Blowfish will only be granted one (1) photo. Taking a photo with Hootie & The Blowfish will occur at a designated area before the show. 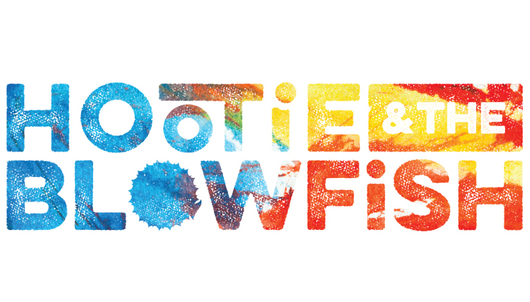 The winning bidder will be notified of the instructions and exact time to take a photo with Hootie & The Blowfish when they pick up their tickets at Will Call prior to the concert. The photo will be taken by Hootie & The Blowfish's photographer and a link to download the photo will be sent to the winning bidder within one (1) week of the concert. If the winning bidder chooses to have a minor attend the meet & greet, the other attending guest must be an adult 18 years or older.